It’s time to start speculating again about who could replace Daniel Craig as 007. There are more rumors about the reshoots of X-Men: Dark Phoenix. New casting calls allege details about the future of Kingsmen. Plus, get a look at Disney Princess casual wear from Ralph Breaks the Internet, The Flash casts a very 2018 take on a classic comics villain, and more Predator footage. Spoilers, away! If you thought the drama of wondering just who could replace Daniel Craig as Bond after one last huzzah was over, think again—the internet is all aflutter about talk that Idris Elba is very close to becoming the next James Bond. 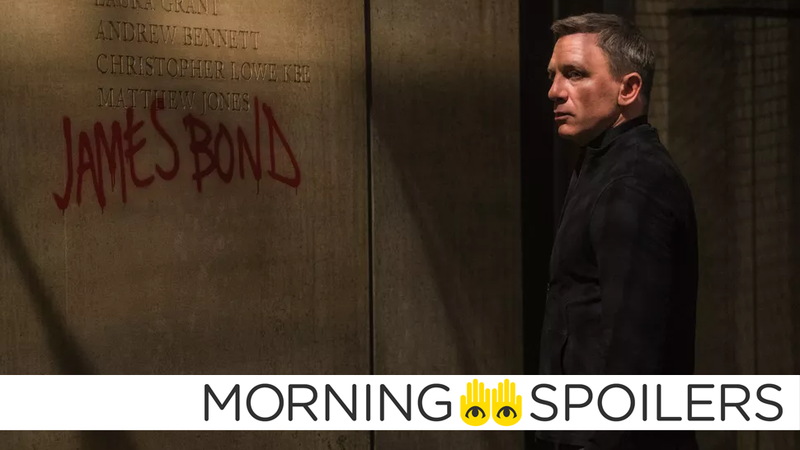 As exciting the prospect is, however, this is based on a report from the British tabloid, the Daily Star—citing alleged comments Bond producer Barbara Broccoli made to Equalizer 2 director Antoine Fuqua, who recalled the conversation at the launch of a new movie app. Fuqua allegedly said that Broccoli had declared that it was time for a minority actor to take on the role and that it would “happen eventually,” before adding his own preference for the long-rumored Idris Elba. So it’s still nothing more than hearsay for now. Collider also has word the cast of Dark Phoenix is heading back to Montreal for two and a half weeks of reshoots, contrary to recent rumors that the film would be going through an extensive three month long reshoot period. Geeks World Wide reports Zack Fox (Christopher Robin, Pirates of the Caribbean: Dead Men Tell No Tales) has been hired as the film’s visual effects supervisor. That Hashtag Show reports Kingsman 3 begins filming this January and will lay the groundwork for plans on the upcoming prequel, Kingsman: The Great Game. The outlet also has word the production is looking to cast a teenager to play the son of a British Duke and a Ralph Fiennes-type for another lead role. The studio is on the lookout for two new leads. One of those new leads will be a teen by the name of Conrad. The young, cocky and charming son of a British Duke, Conrad is eager to find a way to serve his country during World War I…and perhaps the Kingsman offer him just that opportunity. The studio is also looking to cast an older lead male and while no details about his character have been revealed, we do know that the Ralph Fiennes is near or at the top of the studios list. Dwayne Johnson presents the film’s massive set in a new video from Disney. Vanellope encourages the Disney princesses to embrace casual wear in a new photo from Entertainment Weekly. Arnold Schwarzenegger coaches incoming terminator, Gabriel Luna, in a behind-the-scenes photo. The “Ultimate Predator” is unleashed in the latest tv spot (he’s taller). The Happytime Murders crosses over with TruTV’s Hack My Life in a new promo. The Nun buries her victims alive in the latest TV spot. Speaking at the Television Critics Association, showrunner Matt Nix revealed season two will introduce a brand new mutant named Twist. I can’t say a whole lot about her, but there’s a fun character called Twist who comes out and plays a big role in the season. Nix also confirmed “another sort of comic related organization” will assume the place of Trask Industries. We did Trask last year. This year we’re doing another sort of comic related organization so basically what we try to do is we break our stories. Then we figure out okay, what does this resonate with in the comics? So there’s a really interesting back and forth for us and the comics of like oh okay, now we need this. Then we’ll go to the comics and go, ‘If we pull this from the comics, what is it?’ Then that influences the story. It’s always a back and forth. This year it’s not Bolivar Trask but it’s another company. Gwynn’s (Imogen Waterhouse) suspicions of Wythers’ (Andrew Howard) guilt are intensified and her decisive action strains her relationship with Garret (Jake Stormoen). Talon (Jessica Green) and Janzo (Anand Desai Barochia) are faced with more questions than answers when they finally meet the elusive colipsum suppliers. Garret struggles with a new desperate secret that may kill him. Michael Flynn and Philip Brodie also star. Jason Faller & Kynan Griffin wrote the episode, directed by Kynan Griffin (#107). Original airdate 08/28/2018.